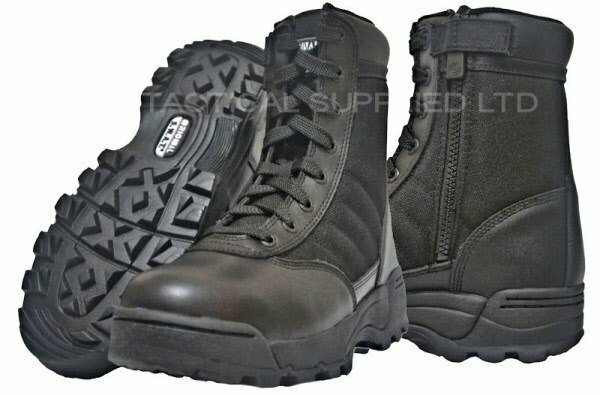 The Classics 9" side zip has very clean lines that gives it a smart look has is the proven boot for Police and military. This is a great choice for those wishing a comfortable and value for money boots with a side zip for easy of entry and exit. Years of experience has gone into the makin of this boot. Out-sole: slip and oil resistant with non-marking rubber and it exceeds the ASTM slip test. It has a stitched heel and toe for an increased life of the boot. Molded EVA sole unit for lightweight comfort and support. This has a stability sole unit for support and torsional strength Steel shank. 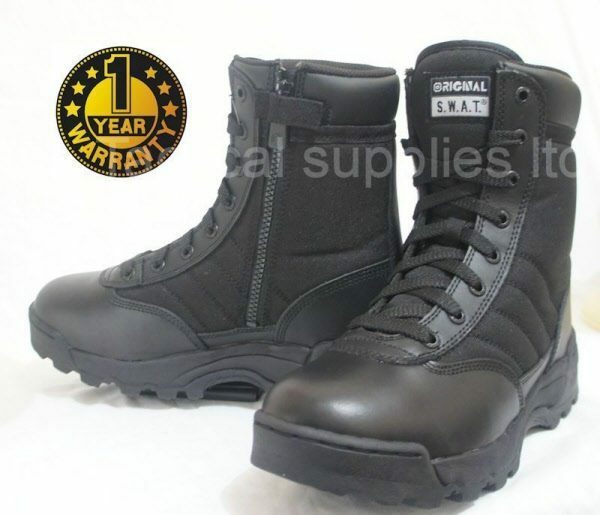 Comes with full grain leather,1000 denier nylon upper for comfort. Molded heel and toe box for comfort and support. Padded collar, foam, tongue which gives protection and extra breath-ability. Moisture-ABSORBING with antimicrobial protection lining. Brass alloy, rust proof eyelets. PU coated which makes it easy cleaning. Gusseted tongue which helps to keep dirt out. Comes with side zip opening.